Solution: Oxidation of zinc by hydrochloric acid.Explain the vigorous bubbling in the beaker on the right. 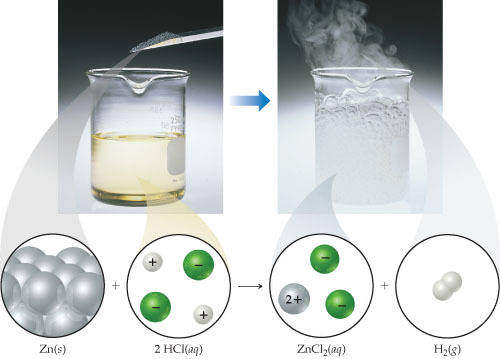 Oxidation of zinc by hydrochloric acid. Explain the vigorous bubbling in the beaker on the right.